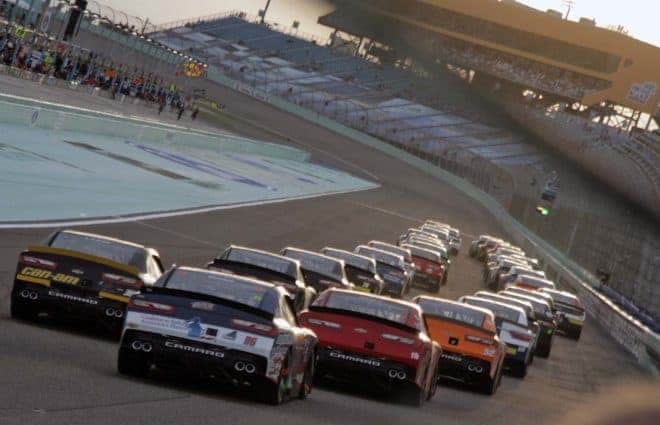 For some Xfinity Series teams, it’s a success just making to the racetrack every week solely due to how much it takes to run a team. In fact, many of the organizations that typically finish toward the back of the pack fit in this category. However, these teams are probably having the hardest battles on track. As Mike Harmon once said, “it takes skill to get around lapped cars.” Not to say that these drivers are bad because they’re not, it’s just their fiscal budgets are not comparable to the front teams, many of which are Cup or Cup-affiliated companies, making it hard to compete in the top preliminary series in all of motorsports. But there were flashes of brilliance for some teams, including a few good runs and top-10 finishes. 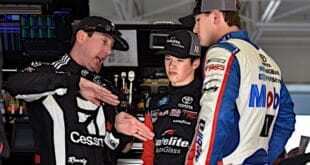 Most drivers would say a top-20 run is a confidence boost for their race team, knowing they are doing something right. Whether it’s avoiding accidents, good pit strategy or just a fast racecar, the list goes on and on. Let’s start with Ty Majeski. The Wisconsin native should probably fit in with the rest of his Roush Fenway Racing teammates. But for the 24-year-old, it was a hit-or-miss season. When driving the No. 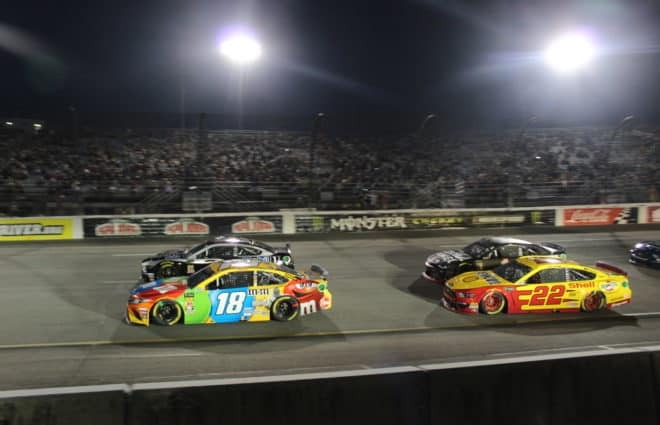 60 car, Majeski had a pair of top-10 finishes (Iowa, seventh and Kansas, eighth), though he failed to finish four of the 12 races, including his first three of the season at Bristol, Talladega and Dover. With an average finish of 24.7, he ended the year 34th in points but had the most top 10s of drivers 26th on back in the standings. 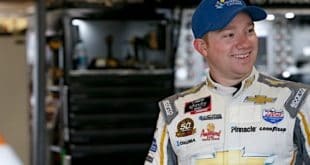 Comparing his 12-race schedule to Shane Lee‘s 13-race season for Richard Childress Racing, Lee outscored Majeski by 160 points with equipment that has similar funding. Hard fought day today. Definitely not what we wanted, but we’ll take a top 10 any way we can get em! Thank you @FordPerformance @roushfenway. We’ll build on this for @TXMotorSpeedway! Despite running in 28 races, Timmy Hill was the only other driver besides Majeski to score a top-10 finish outside the top 25 in points. His standout performance came at the July Daytona race where he avoided pure chaos and crossed the finish line in seventh. He started and parked 17 times with MBM Motorsports, with three additional DNFs. Meanwhile, Spencer Boyd had a respectable rookie campaign for SS Green Light Racing, though he ended 2018 the third lowest of drivers who competed in all 33 races. The No. 76 car had a pair of top-20 efforts, with a best of 17th at Daytona. Another rookie, Vinnie Miller, might have had a season to forget in 2018 with 10 DNFs and a late-season move from JD Motorsports to B.J. 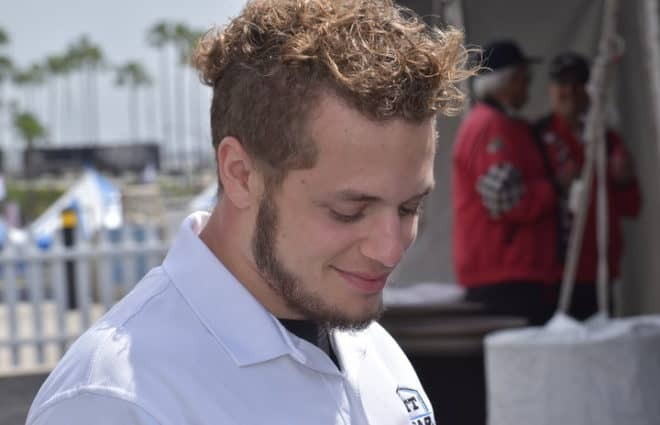 McLeod Motorsports, where he will drive full-time in 2019. 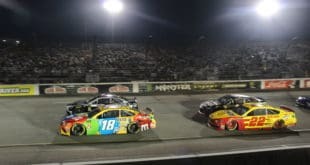 Although he competed in every race, the Michigan driver ended the season with an average finish of 28.3, with all four of his top-20 outings coming in restrictor-plate races (Daytona, Talladega, Daytona and Indianapolis). JJ Yeley, B.J. McLeod and Tommy Joe Martins all had solid seasons when they could actually race their respective car. Take Yeley for instance — he ran the full race in 11 of 31 he competed in for RSS Racing, nine of which resulted in top 20s. But funding is the name of the game, something all teams in the back half of the field are looking for. Great finish today in the @NASCAR_Xfinity race! The entire @SPSXRacing crew NEVER gave up all day! Splitting a schedule between Xfinity and Cup, McLeod also had a solid season when given the green light to race between a trio of teams. He started the year with his own team for 11 events before moving over to Mike Harmon Racing for Michigan. He ended the season running 14 of the final 20 races for JD Motorsports, where he posted a best finish of 16th at Indianapolis. Meanwhile, Martins, who ran in 19 races for McLeod’s race team, finished the year with an average result slightly south of 25th, with a pair of top 20s. The deeper into the schedule the series got, the better Chad Finchum ran. He ended the season with two top-20 outings in the final four races of the season. Prior to Kansas in October, he had just one top 20 in the first 29 races of the year. Other notables are Josh Williams, who overachieved for DGM Racing, a team that at times runs on one set of tires per race. He drove his racecar to 10 top-25 efforts in 20 races. When not racing, Williams often sat atop the pit box, serving as the crew chief for Andy Lally and others. JP Motorsports, new to the Xfinity Series, ran a total of 59 races between race teams (Nos. 45 and 55). Josh Bilicki, the team’s primary driver, competed in 29 races, though he failed to qualify for two of the three races in November (Texas and Homestead). He had two 20th-place finishes during the season. 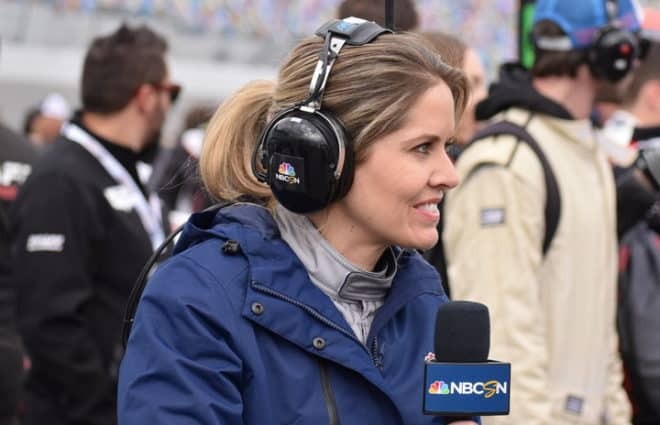 However, the organization’s other ride ended the campaign with a best finish of 15th in the season-opening race at Daytona with Stephen Leicht behind the wheel. 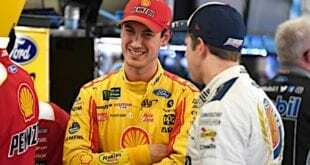 It’s uncertain if the team or drivers will return in 2019, as eight drivers made at least one start with JPM. Kyle Benjamin, Justin Marks, Dale Earnhardt Jr., James Davison and Lally all had top 10 efforts, though each driver made three starts or less. In fact, just 10 Xfinity regulars led more laps than Earnhardt in 2019, despite his lone start. 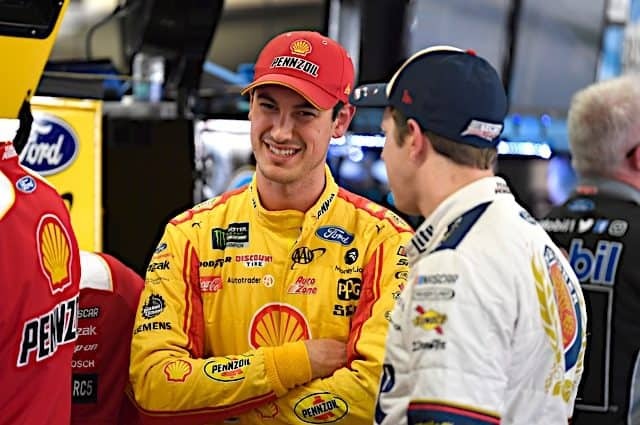 As the off-season continues, there is still a lot of uncertainty of where most of these drivers will run in 2019. Unfortunately, most will be running on a similar budget to 2018.